The official website launched today. I wish Riot Games (League of Legends creator) had the budget and manpower to add in some of these features that have been sitting on their to-do-list for quite some time. However there will be a big update coming from them sometime (graphics overhaul and etc). Valve today announced The International. This tournament will be the first time Dota 2 is shown in public, and will take place August 17th -21st at Gamescom in Cologne, Germany. The International features the 16 best Dota teams in the world competing in the Dota 2 Championships through a group stage, double elimination playoff format over the course of Cologne’s five-day trade show. The tournament will be broadcast in four languages (Chinese, German, Russian, and English) free of charge. The winning team will receive $1 million. In addition to the cash prizes awarded by Valve, Nvidia is providing all the hardware for the event. 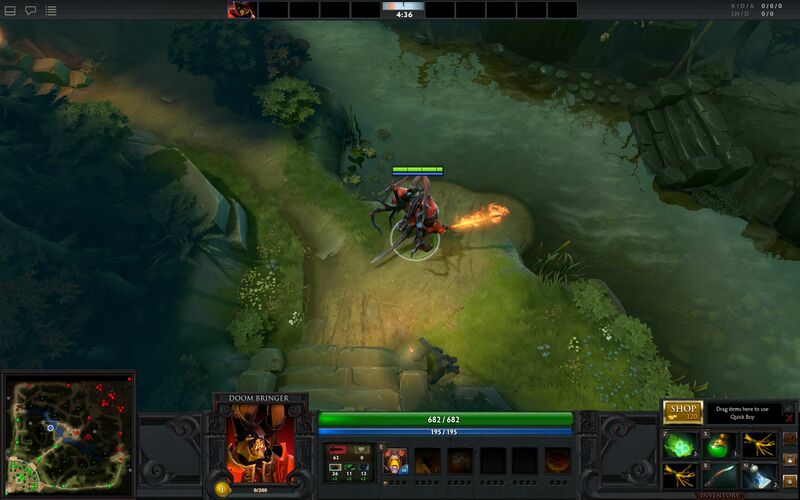 Dota 2 will be available for the PC and Mac later this year. @skwerl - very exciting indeed! Was never really a fan of the original DOTA... when compared to LoL I just find the system so crude and lacking features, obviously due to the fact it's nothing more than a scenario built around WC3. This, considering it's the heir to quite a reputable throne, should be excellent. Been playing Dota for 3 years pretty competitvely, so excited to see where Dota 2 will take it. Liking the art style. It's got that Torchlight vibe, but with cooler water detail. Dominion (LoL) is looking great too. But I'm definitely more excited for this, since I'll more than likely be first in line to make a custom map for it. If it's F2P, I'll try it simply because it'll be a Steam game. It certainly does, but so do most cinematic trailers, and they never have much to do with the actual game, be it graphics or gameplay.